PATTAYA:--Traffic and crime-suppression police greeted their new boss with flowers at Pattaya Police Station. A new broom, he'll clean this town up properly. Watch out bad guys your time is up. 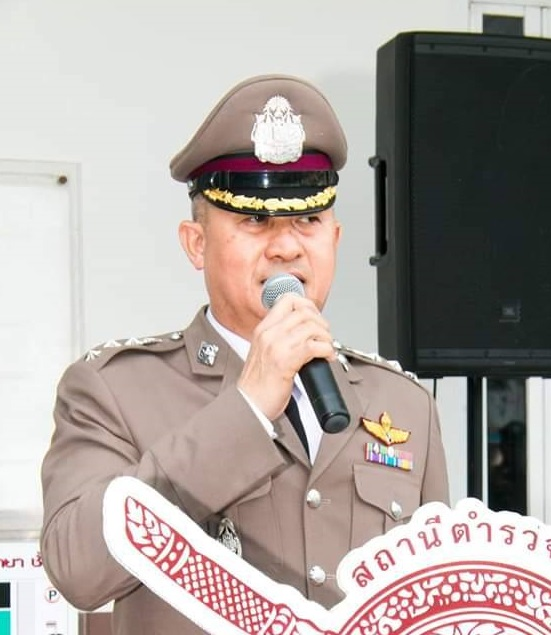 Pattaya is (allegedly) one of the most expensive police posts to buy in Thailand. Wonder how someone makes enough money in the deep south to afford that? No Hookers on beach road remember. And will he fight the criminals in Pattaya or will Pattaya just continue as it is???! Unfortunately he will do none of what you guys have requested, the reason ? Every time he hears a backfire from a vehicle he will be hitting the dirt as I and many of my fellow squaddies did after a few months in NI, the same with the South, hear a bang head for cover. we all should be thankful crime is not as bad as it was a few years ago in pattaya, before it was daily shootings, daily stabbings, many daily robberies against both locals and tourists, armed robberies, daily attacks gainst both locals and tourists, random shootings in na kluea, now in pattaya it is hardly any shootings or murders, armed robberies is no longer a problem. but after the elections i think pattaya will become like that again. ... for all of the next two weeks!